Casting Call -- Flip Your Restaurants - Contact We Sell Restaurants Today! A major cable TV network has reached out to We Sell Restaurants seeking restaurants ready for an overhaul. 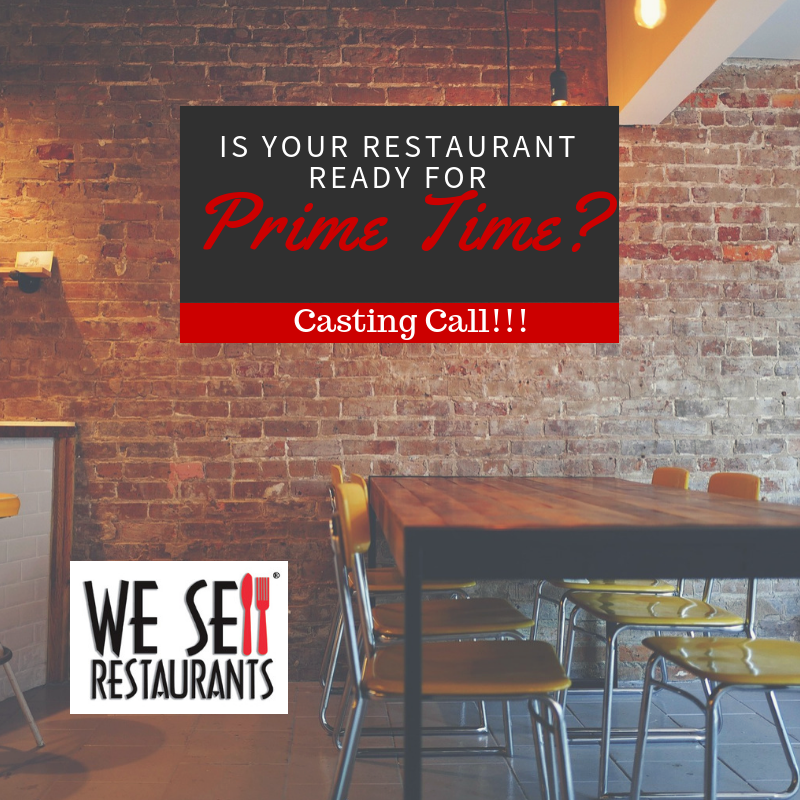 Are you buying a restaurant or selling a restaurant that's ready for prime time? This could be the time to get noticed on national TV and have someone else pick up the bill. It appears this is a “makeover” or “before and after” type show that will take an existing concept and make a pretty significant change. We're thinking this is Bar Rescue for restaurants. Their flyer asks restaurant owners facing these situations to get in touch. Is your restaurant barely getting by? Are you talented and have mad skills but struggling to bring it all together? Do you want to rehab your concept and reinvent your restaurant?. What do you think? They want to film for roughly two weeks this fall, and they will invest between $25,000 and $100,000 depending on the size of your restaurant. On the plus side, this seems like a great opportunity for mom and pop restaurants for sale looking for a new design. We're not sure what the final program will look like, but they are certainly investing in the concept. What’s the downside? We don’t know who the talent for the show is yet. The mysterious flyer leaves that part out of the deal. What if you’re a long running seafood restaurant in a small rural area and they want to change you into a big city style steakhouse? Is it work the risk? We say, go for it! What’s the risk to have a conversation, send in some photos and see what develops. 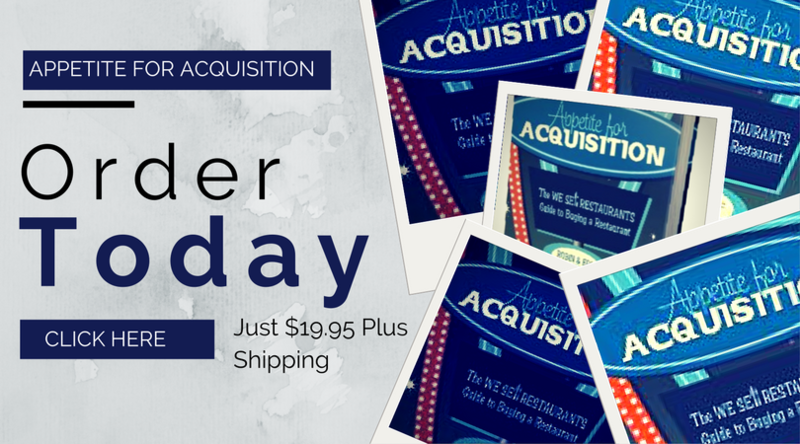 What if you’re buying a new restaurant with the help of We Sell Restaurants? This could be a win for you as well. You get the experience and assistance of big players who want to make this look as good as possible to air on national TV. If you’re launching a new concept, this could be the ideal situation to create buzz for your new restaurant and find yourself with a huge PR win out of the gate. Interested in knowing more? We are too! We hope one of our many restaurant buyers or sellers end up on this show and we’ll be cheering for you every step of the way. Contact the restaurant brokers and we'll put you through the network producing hit shows like these. Buying a restaurant and having someone else pick up the bill for the redesign and re-branding sounds like a great idea to us. What do you think? If you want us to connect you reach out to this email address and we'll pass along your interest.